Posted March 10th, 2014 by David Porter & filed under General, Hot Topics, Social. 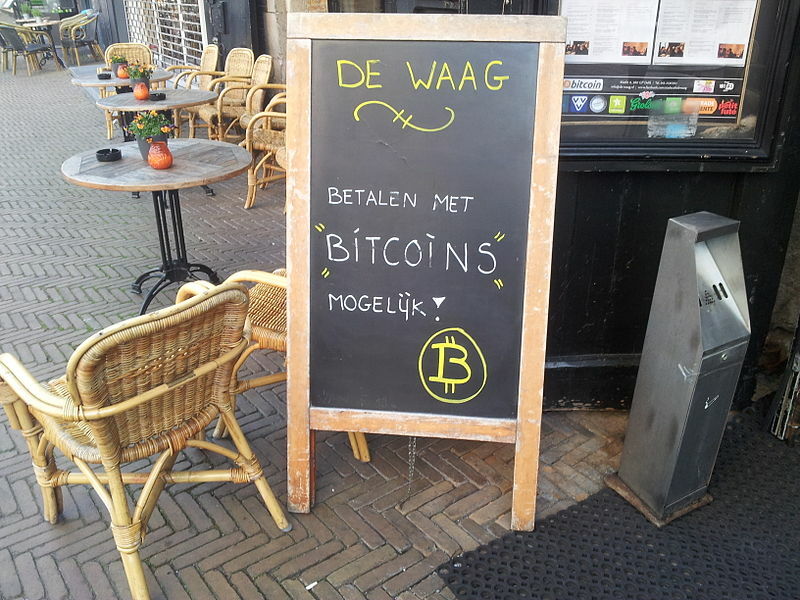 Are Bitcoins Gaining Acceptance As Everyday Currency Yet? Ali Spagnola, a comedienne from the USA sent me a link to the 2 minute mash-up of 33 famous songs about money she created to celebrate Bitcoin, the digital, virtual currency that is trending all over. It is described on the Bitcoin website as ‘an innovative payment network and a new kind of money.’ It’s outside the normal currency regulatory frameworks that govern global money and it has been causing quite a bit of controversy lately. We thought we’d give you a few pointers, in case you wanted to invest in some. There is a pdf available describing ‘a peer to peer electronic cash system’ which discusses the problems with banking systems, trust and the internet. There is a simple guide to the idea on YouTube. ‘It is an online, virtual currency, designed to facilitate trading. It has no government or central bank to underpin it, nor gold reserves to back it up. Some observers regard it a sort of international ‘online cooperative. To prevent more Bitcoins being ‘created’ to cause devaluation (no quantitive easing here), there is an upper limit of just 21 million. No more Bitcoins can exist than that. The rules were apparently set out by a figure called ‘Satoshi Nakamoto’ in 2009. Very little data is available on that person or group of people. But, nonetheless, the creation is taking off. Scarcity drives up the value and price, just like gold. Users refer to ‘mining’ Bitcoins to liken it to gold. When the story broke that Tokyo-based Mt Gox, the bitcoin exchange had collapsed into bankruptcy with around $460 million dollars apparently ‘stolen by hackers; and a further ‘$27 million missing from bank accounts’ alarm bells started ringing. Was the future of digital currency actually being terminated abruptly or was it a mere blip in the evolution of a global currency which would soon become the only way forward? It may be that ‘a new wave of entrepreneurs may bring digital currency to a new level of respectability’ driven by financial experts rather than computer geeks and coding boffs. A hack in 2011 cost Mt Gox almost $9 million which they made good, thus building a reputation for honesty and integrity which encouraged millions of new investors to pile in as the price of Bitcoins started to reach stratospheric levels. At the outset of 2013 they cost $13 and before the year end they traded at $1200 apiece. There are sites mushrooming about Bitcoins, rather like there are about Facebook or Tesco or Apple. One that is stuffed full of Bitcoin stories is Bitcoinagile. There is also The Bitcoin News devoted to the currency. Last autumn the Daily Mail got excited at the launch of a vending machine in a Canadian coffee shop that changes Bitcoins to Canadian dollars and vice versa moving funds to and fro a virtual wallet on people’s smartphones. They were convinced that by the end of 2014 these robocoin ATMs will roll-out globally. They may be right, seems a reasonable prediction if teething problems are resolved and bitcoins gain traction and credibility and governments find ways of living with/regulating/taxing them satisfactorily. But so does the one that I think – surely there will be other encrypted currencies that people choose to use, just as Google is the only search engine in the world?